Sensing a significant media void, this Mother/Daughter duo emerged onto the media and publishing world stage January 2015 with the launch of Ready Publication. We’ve been Ready ever since! Ready to promote people, products, and platforms! Ready is a quarterly print and digital publication designed with the beautiful diversity of women around the world in mind. Ready is edgy… different… content-rich… positioned to create and to encourage passionate conversation about a host of topics around real life issues. Ready is challenging and courageous enough to expose hidden thoughts and to entertain closed-door conversations. Ready will help influence women to move beyond the status quo and to transcend glass ceilings. Ready has created a platform for women and girls to share their voices. Ultimately our hope is mobilization on a grand scale by informing and inspiring women in areas of advocacy, philanthropy, volunteerism, community-building, business development, soul care, economic stewardship, race relations, and politics. Ready is more than a magazine; we have a world-changing movement underway. I am Gail Dudley, a native of Columbus, Ohio. I dream big and go after whatever is before me. I am excited to work alongside my daughter Dominiq in this venture. I am married to Kevin Dudley and love being the mother of two amazing young adults, Alexander and Dominiq. I invite you to join me on this journey. READY, an edgy, different, and content-rich magazine for women. 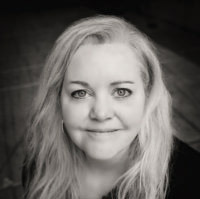 Follow me on Twitter and Instagram @GailDudley and @READYPub. 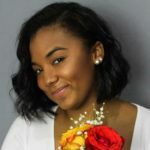 I am a public relations professional who is passionate about market and social media communications and I believe that passion is reflected in my work. Having earned a Bachelor of Arts in Journalism with a concentration in Public Relations and a minor in Sociology, I focus on brand management utilizing my creative experience. As I strive for excellence, I live by the motto: “clear and concise with a pop of creativity. 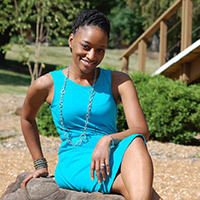 Amber Mabry is a goal-oriented, outspoken, positive woman FULL of purpose. 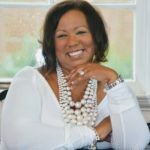 She helps small businesses, non-profit organizations and entrepreneurs compete in the marketplace by providing quality, affordable consulting, marketing and design solutions. She also empowers, educates and excites people into action as the visionary of Vision.Defined., a community-based platform created in 2017. Amber’s life motto is “Live Out Loud!” To exemplify this charge, Amber hopes to fund dreams and build community centers in the near future.